USD 480 schools will conduct ALICE drills each month to provide opportunities for staff and students to prepare and practice options to enhance their safety during an active shooter situation. 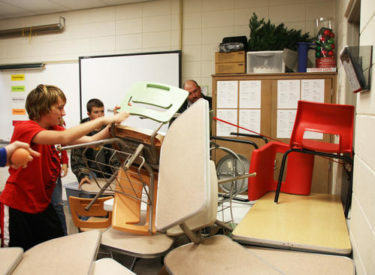 The following options will be taught, practiced, and discussed: lock-down, barricade, evacuate, and counter. All schools will be participating in a BARRICADE drill during the week of December 12-16, 2016. If you would like more information about ALICE or the upcoming drills, contact a building administrator or USD 480 Central Office.